The scheme of 55 units comprises 4 closes over 5/4 storeys to the corner site. The first 3 closes of traditional layout provide mainstream accommodation of 1-3 bedroom flats and maisonettes. 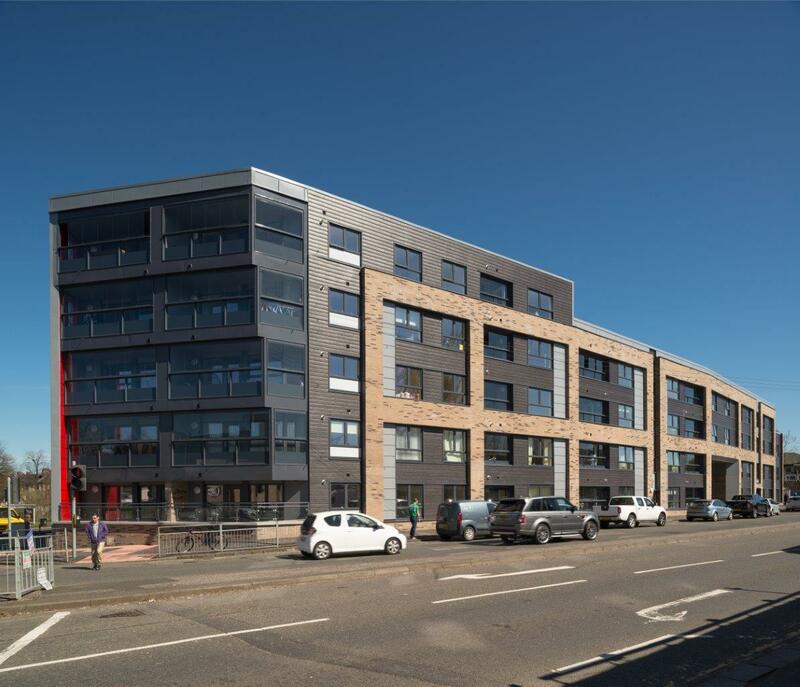 The 4th close for Loretto Housing Association has been developed around deck access with 1 and 2 bedroom flats for older people. A communal roof terrace, meeting spaces on each level and community garden have been provided. 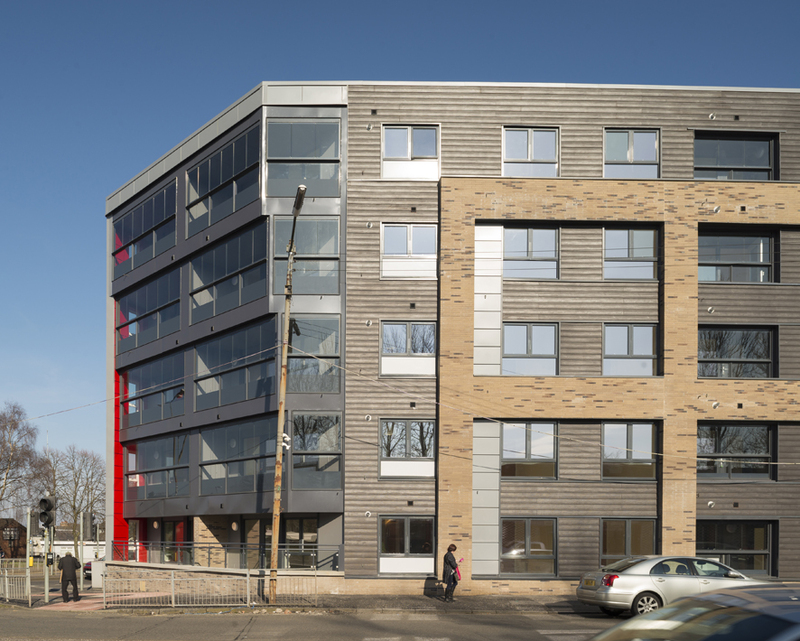 Flats in each close have been designed specifically for wheelchair users, ensuring that living environments are flexible and adaptable to suit individual needs and in accordance with Housing for Varying Needs. A light weight cladding is used within the courtyard to provide a distinct transition between the building facades. The corner elevation incorporates a series of glazed balconies which step out the building on each level to provide a signature for the development. External space has been maximised on the tight site, creating a careful balance between parking, usable hard landscaping. The external space for older people includes flexible indoor and outdoor spaces. 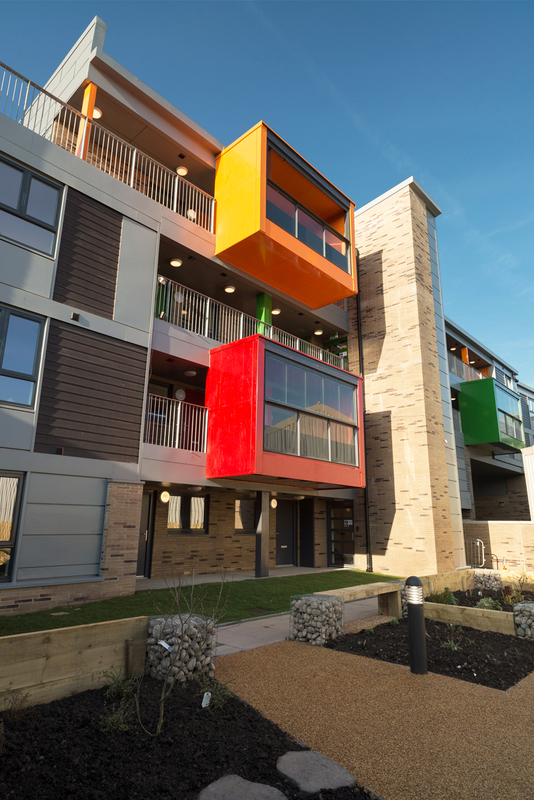 The building incorporates dementia friendly design and memory triggers.